The Romance Studio is having a big party this weekend. 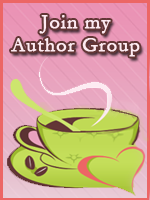 Learn about new releases, read steamy excerpts and check out new authors. Like prizes? Comment on any post to enter multiple drawings for loads of prizes. Check it out here: http://trsparties.com. This entry was posted in Annie Rayburn, Contests, Everyday blather, Promo and tagged Annie Rayburn, excerpts, party, prizes, Thanksgiving, The Romance Studio. Bookmark the permalink.